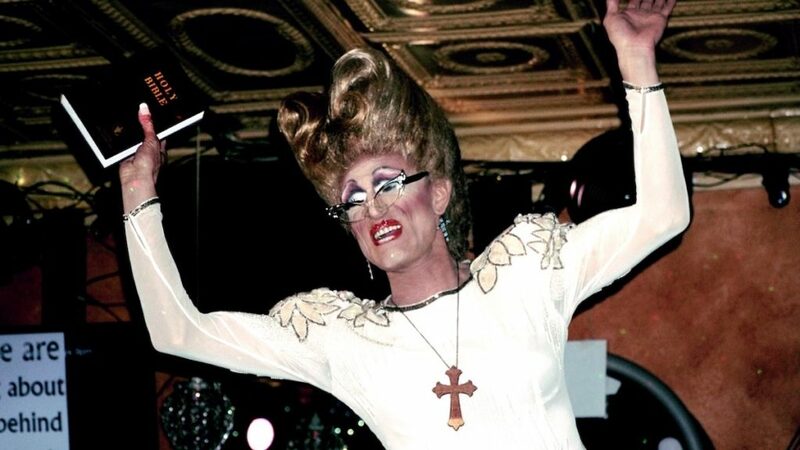 Love, faith and civil rights collide in a southern town as evangelical Christians and drag queens step into the spotlight to dismantle stereotypes in the trailer for the documentary The Gospel of Eureka. Directed by Michael Palmieri and Donal Mosher; and narrated by Mx Justin Vivian Bond, Kino Lorber will release The Gospel of Eureka on February 8, 2019. Welcome to Eureka Springs, Arkansas, a one-of-a-kind oasis in the Ozarks where Christian piety rubs shoulders with a thriving queer community. Narrated with homespun humor by Mx Justin Vivian Bond, this lushly photographed documentary spotlights the space where the town’s seemingly contradictory factions intersect: Lee and Walter, out and proud husband-owners of a local gay bar they liken to a “hillbilly Studio 54,” talk about their deep-seated faith; a Christian t-shirt designer describes his love for his gay father; and everything comes together in a show-stopping mash-up of a spectacular passion play and raucous drag show. The result is a joyously offbeat slice of Americana that breaks down the red-state-blue-state divide. Rooftop Films Announces 2018 Summer Series Feature Film Lineup, Blindspotting, Dead Pigs and More..